We have no w reached an important stage in preparing our new Local Development Plan (LDP). As a key part of the plan preparation process, we have published a Proposed Local Development Plan (PDF | 9MB). Following the Main Issues Report consultation, which sought views on the big issues that the new LDP will need to address, the Proposed Plan is the next step towards obtaining a plan set to tackle these issues. 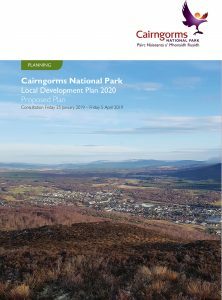 The Proposed Plan sets out suitable land allocations which will help to deliver appropriate development within the National Park, and policies that will be used to make future decisions on applications for planning permission. Please be aware that this a large file size and it may take a while to download and requires Adobe Reader. This has been designed to make it easier to jump to the sections you want. You can view individual settlements and zoom in to maps. 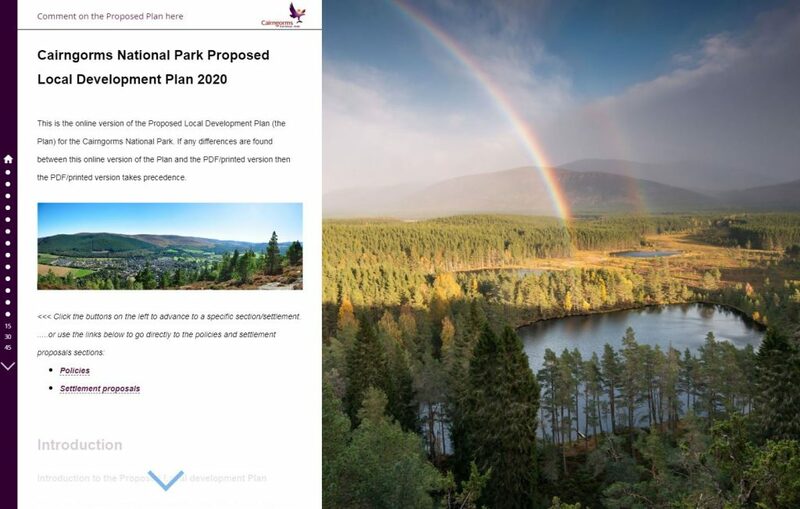 The Proposed Plan is accompanied by a Proposed Action Programme which identifies the way in which the Plan’s policies and proposals will be delivered. The Action Programme will be kept under review throughout the plan period.